Here’s the latest in this little burst of palaeoart interviews. Following on from the recent ones by James Gurney and John Sibbick. This time out, it’s Larry Felder. I’ve been an artist about as long as I’m alive. As soon as I became aware of paper and pencils, I picked them up and never looked back. It’s also about the same time I became interested in dinosaurs. And, I think if you ask any paleo artist, they’ll tell you it’s not when they got into dinosaurs, it’s that they never got over it. I think all of us are afflicted with the same ‘disease’, and if we’re lucky, we’ll never get over it. How long have you been producing palaeoart? I’ve been in the field going on over 20 years. 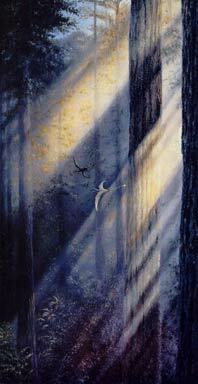 I was always able to paint and was interested in dinosaurs, but didn’t put the two together until the early 90s. What first got you interested in dinosaurs and art? The thing about both dinosaurs and art is that they are so primal. From the earliest, and I’m talking tens of thousands of years ago, the human species has had the need to transcribe what we see around us in some creative fashion. Look at cave paintings of 35,000 years ago. What makes up the bulk of them? Depictions of the animals these early artists shared their world with. And, the fact that they exist at all points to a primal desire to depict that world in some visual fashion. It’s still with us today, and as we become more ‘advanced’, though I’m not completely convinced that we’re all evolving at the same rate and in a linear fashion, the need to create and depict our world remains a basic human need. When dinosaurs came to the awareness of the scientific and then general community, there immediately arose an intense desire to interpret these incredible remains in some sort of creative form. 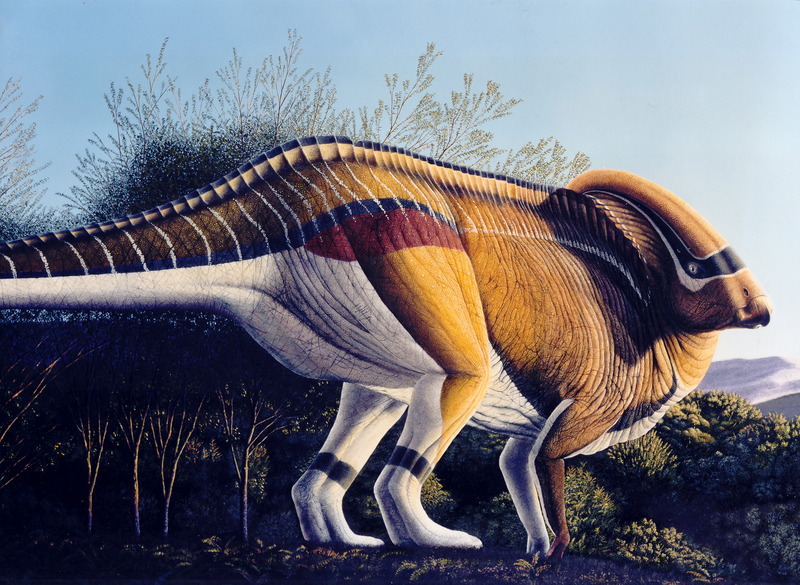 Paleoartists today are can trace a direct line back to the works of Hawkins, Knight, Burian and Zallinger. It’s neat to follow in the footsteps of people like them. And, I think there will always exist in the human spirit a need to create, and an equal need to appreciate and depict life and the universe we exist in. So there will always be an interest in dinosaurs and art. 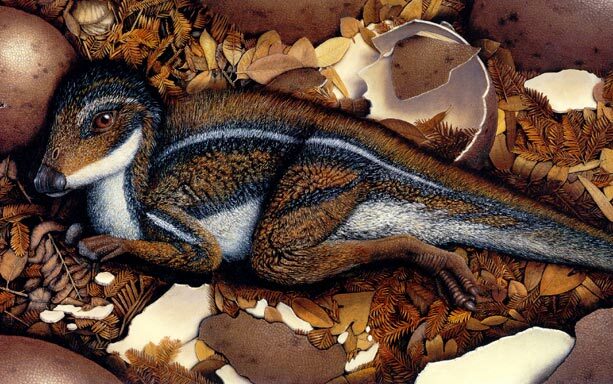 What is your favourite piece of palaeo art that you have produced? My favorite piece is more a life study of one of my favorite dinosaurs, Parasaurolophus, that I did for my book “In the Presence of Dinosaurs”. I did an extended series of paintings of the animal, from adults, to courtship displays, nesting sites, hatchlings and behaviorial studies. 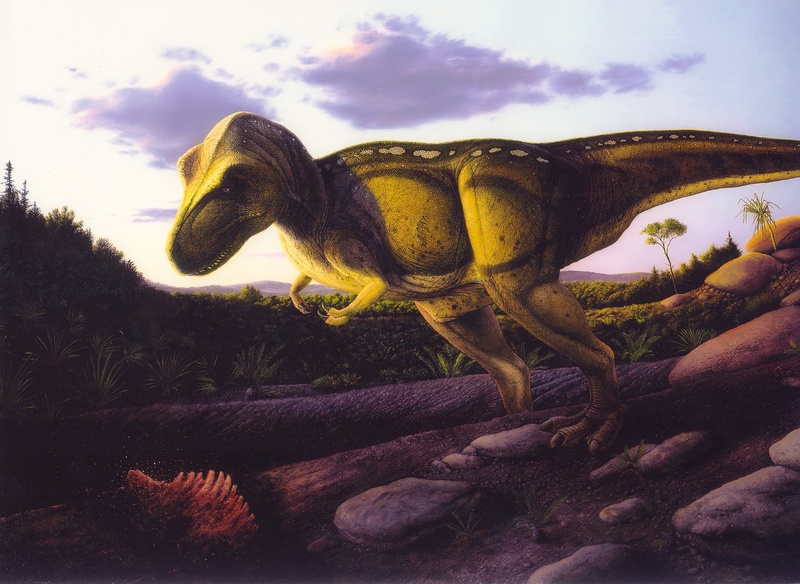 Who is your favourite palaeoartist or piece of palaeoart? 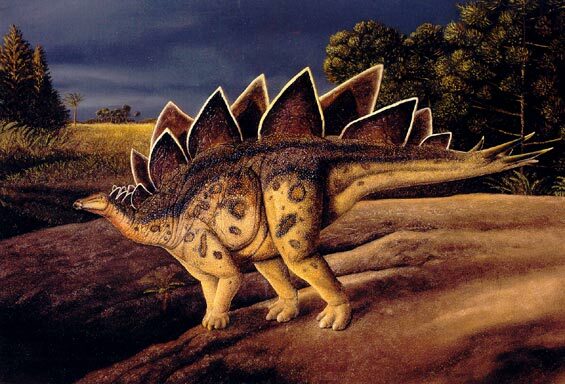 I honestly don’t have a single favorite paleoartist or piece. I would have to answer this as a group appreciation. I always had a thing for the works of Charles Knight, as the Father of PaleoArt. And, Burian’s work was particularly interesting to me. Today, there are several artists. Dan LoRusso is one of the best sculptors around, as are Mike Trcic and Paul Hudson. 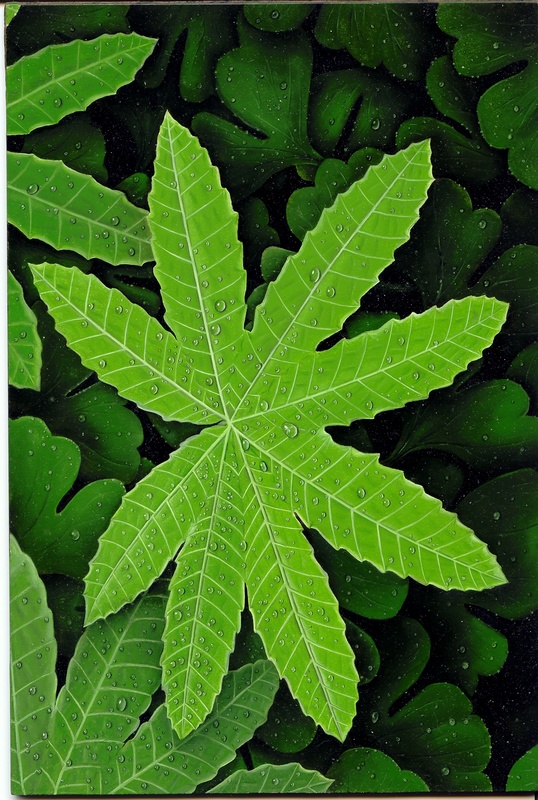 Visual artist I appreciate are Mauricio Anton, Tracy Ford. I always liked Brian Franczak’s work, though he has been out of the field for a while. And, there are artists working more and more with computers. Luis Rey has been moving more towards that it seems. And Julius Csotonyi has done some spectacular work with the computer. As technology pushes the envelope more and more, it will be impossible to dismiss it’s impact on visual art. It doesn’t mean that painting will go the way of the dinosaurs. But paleoart will adapt. There was an artist whose name escapes me, in the mid 1800s. As soon as he saw a photograph for the first time, he said of the new technolgy, “That’s the end of painting.” Of course, it didn’t prove to be the case. But painting had to reinterpret itself and come to a new meaning in light of the new technology. So will paleoart have to evolve in light of the computer. But painters shouldn’t throw away their brushes and get new mouses. 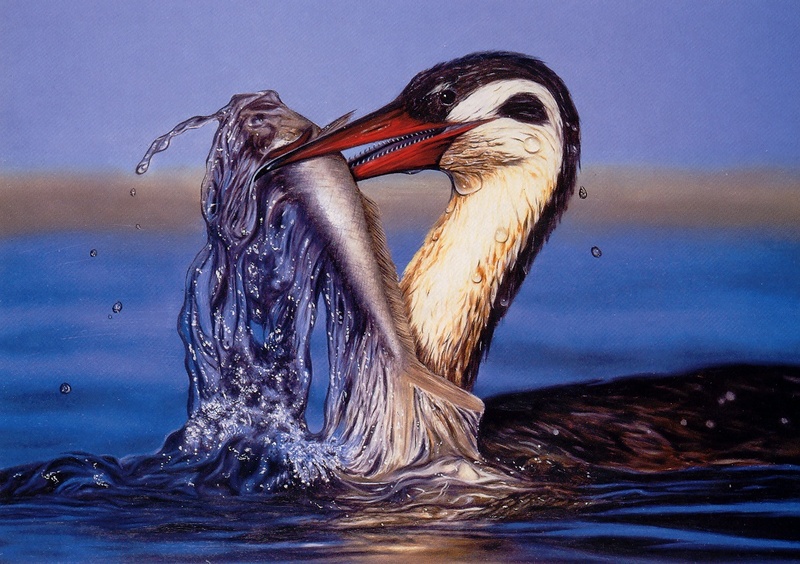 Wildlife art continues to thrive, particularly significant in that lions, tigers and bears are still with us, and anyone with a digital camera can shoot some impressive shots of these animals. What is your favourite dinosaur / archosaur? I always had a fondness for Parasaurolophus, but again, there are several groups of animals I am drawn to. Small theropods, the more bird-like the better I always thought were neat. And pterosaurs are just in a league by themselves. Is there any animal you would like to paint but have not? I would actually like to do more work on pterosaurs, and would like to do some extended images of the wildlife of Cretaceous Australia/Antarctica. The adaptations of the dinosaurs in that unique habitat, with the cool weather and extended darkness just cry out for interpretation, especially in light of the incredible record now of feathered and insulated dinosaurs. What do you think is the most important part of good palaeoart? Believability. It is a multi-tiered reality, including a working knowledge of anatomy, good drawing, good draftsmenship, good art, a good eye for appreciating the natural world today, and some patience. 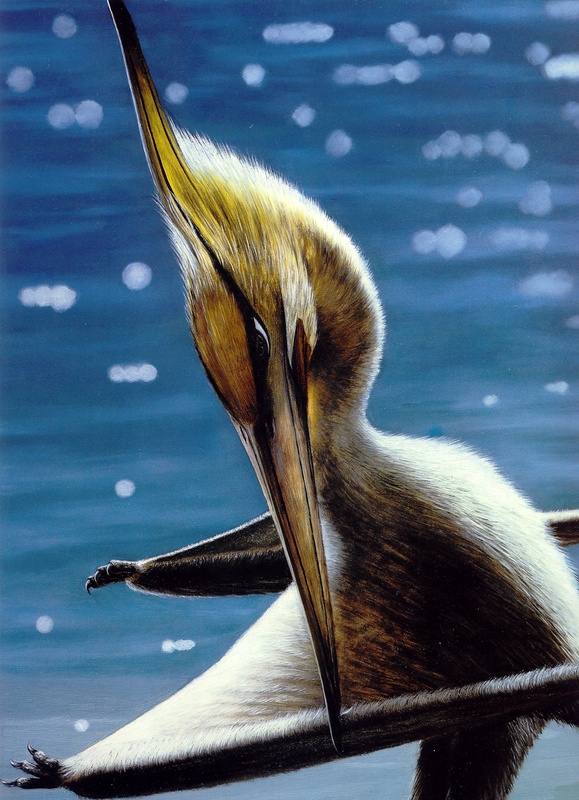 A good piece of paleoart works the same way a good wildlife painting does today. You have to put the various elements together that segue seamlessly with each other in a way that either immediately clicks or doesn’t. 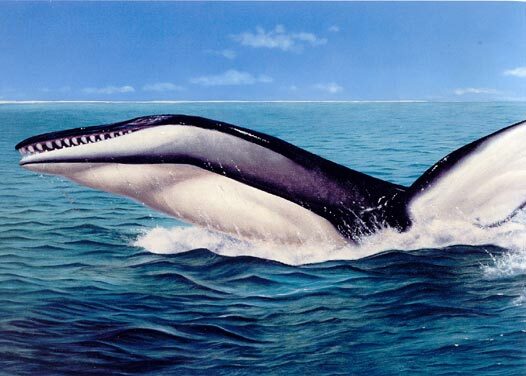 Especially with paleo art, since one of the main components is a believable color scheme and sense that this is an animal that is alive and can be seen as existing in its habitat without too much of a stretch of incredulity. Finally, a little bit about myself. I finished up a series of large paintings for several national parks a few years ago. I’ve been working with Mike Triebold of the Rocky Mountain Dinosaur Resource Center in Woodland Park, Colorado, USA, on a traveling exhibit for museums and science centers entitled, “Bringing Dinosaurs to Life.” It is centered around one question, “How do we know what dinosaurs looked like?” It is a combination of paintings, sculptures, fossils and source material that paleoartists use to recreate dinosaurs and other prehistoric animals and habitats. The movie “Tree of Life” that just came out, (with Brad Pitt and Sean Penn, directed by Terrence Malick, and that just won best in show at Cannes), features a filmed depiction of one of my paintings, an elasmosaur on a beach, about to nurse a wound. I’m also a writer, and am finishing up a novel, a science thriller. It’s about a physicist who inadvertantly comes up with a quantum gravity theory that allows thermonuclear detonations to proceed without producing radiation. In trying to weaponize it, it turns into a spectator sport.